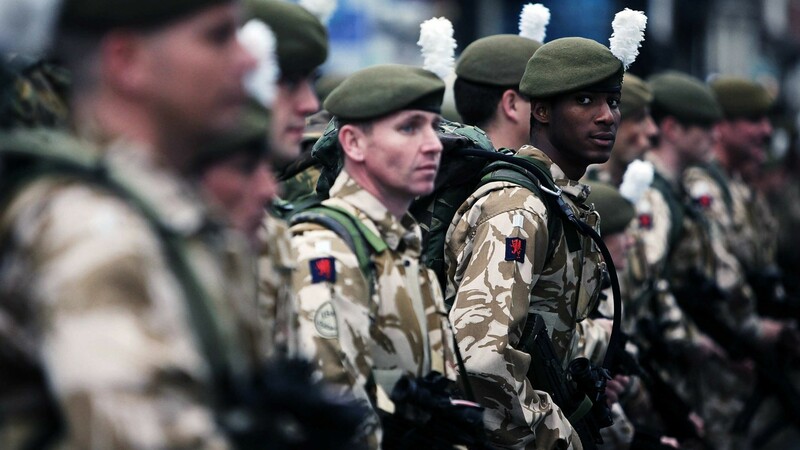 Ethnic minorities remain severely underrepresented among British military officers. New figures released by the Ministry of Defence have shown that just 20 black and 25 asian officers are serving in the Royal Navy out of a total of around 7,000. While the MoD publicly reports that 2.3 per cent of British military officers are BME, 45 per cent of BME officers are mixed race. Just 170 (0.61 per cent) are asian and 105 (0.38 per cent) black officers serve in the military, which has a total of 27,680 officers. The Royal Navy was among the weakest performers, with black officers making up just 0.3 per cent of the total numbers serving. These figures are also boosted by ethnic minority officer recruits from Commonwealth countries, rather than from the British population itself. According to the 2011 census, 6.9 per cent of the UK population is asian, 3 per cent is black and 2 per cent is mixed race. Clearly a mixed picture remains. But despite living in an age of diversity training and hard clamp downs on any hint of racism, these figures show how demonstrably the military still struggles to recruit ethnic minorities into officer positions. This is something on the MoD radar. As one spokesman put it “we will do everything possible to increase the number of new recruits from minority communities”. They highlighted programmes working with the Armed Forces Hindu Network and the Armed Forces Muslim Association, as well as focusing recruitment activity in areas with a high BME population, in an attempt to up numbers. He explained that more drastic measures would be needed if greater diversity is to be achieved. If we want to get serious about improving diversity in these programmes, we have to take people’s names off the application forms completely. Sometimes, biases need to be made obvious to the recruiter, he explained. Beyond changing the mindset of the recruiter, changing the mindset of the recruit can also have a big impact on pass rates, without making tests objectively easier or even much different. Research from the Behavioural Insights Team, the government’s “nudge unit” found that when Avon and Somerset police used a “priming question” in its job applications, asking candidates to “reflect on what might make them a good addition to the force, and what significance that would bear in their community” before taking the situational judgement test that formed part of the constabulary’s job application, there was a startling 20 per cent jump in BME candidate’s pass rate. Michael Fallon, the Defence Secretary, called on the Britain’s Army, Navy and Air Force to hire 30 per cent more recruits from an ethnic minority background by the end of the decade, with at least 10 per cent of all new joiners to come from a non-white background in September. If these sorts of targets are to be achieved, it seems clear a more overt use of such behavioural psychology, to better help and target minority candidates, will need to be an important part of the reform mix. George Greenwood is a freelance political journalist, published in the New Statesman, The Independent and The International Business Times. The beginning of the end between Turkey and the West?